Even though your school prom has ended, the night doesn’t have to end as well. While the formal dance is over, there are numerous safe and engaging ways to continue celebrating the evening. If you need some inspiration, look at the following post-prom activities you can organize to make your prom night one to remember. If you are looking to relax after spending hours on the dance floor, heading out to a midnight movie with your friends is a great way to kick back and rest your feet. Check if your local movie theatre has midnight shows on the evening of your prom. If no midnight movies are available, plan a movie marathon at your home after prom. Don’t forget to stock up on popcorn, soda, and snacks to consume while watching your favorite movies or television series. Hitting the bowling alley for a few late-night games is perfect for those who still have energy when prom is over. Luckily, several bowling alleys remain open on prom nights, and you can book your lanes ahead of time. If the weather in your area permits, you and your friends could also plan an after-prom excursion to a mini-golf course to play a few rounds. 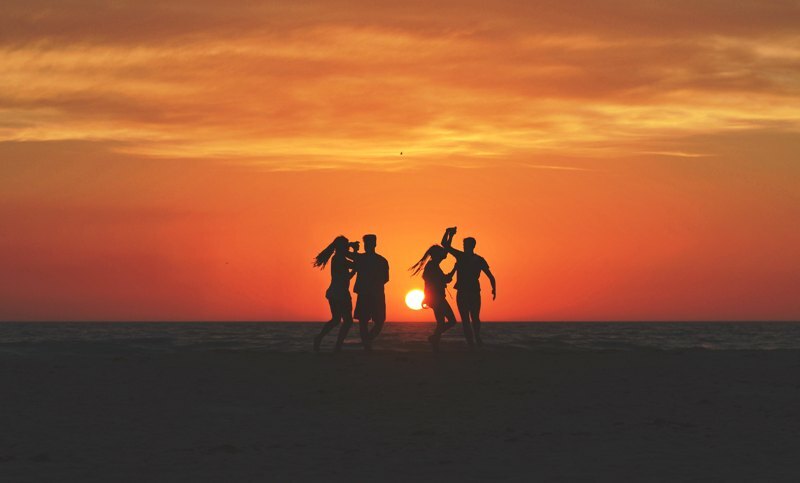 If you live close to a lake or ocean, hanging out at the beach is an incredible way to spend the rest of your prom night. Bring a stereo for music and a couple of blankets to keep your group warm in case it gets chilly. Prepare a picnic basket of tasty treats to serve on the beach or use one of the park’s grills to cook up some midnight snacks. Depending on the park’s rules and features, you and your friends may also be able to use a firepit to build your own bonfire for roasting smores and telling stories around. Throwing a make-your-own pizza party after prom provides a chance for you and your group to replenish and spend time together while preparing food. Offer a variety of different toppings and soda options to make sure everyone is satisfied. Prom night presents the perfect opportunity to organize a sleepover with your friends. You can stay up late to discuss all the details of the evening, eat snacks, and watch movies. Heading out to a peaceful area to gaze at the stars is the perfect way to wind down after prom. It also gives you the opportunity to chat with your friends in a tranquil, relaxed setting. If the weather allows, camping with your group after prom ends can be an exciting outdoors experience. Like star-gazing, going camping in a quiet outdoor area brings some serenity to the night. Be sure to pack extra clothes – you don’t want to have to pay extra cleaning fees for your tux. Organizing a scavenger hunt and playing night tag in the backyard are activities you can play throughout the night. If you are stuck indoors, you can bring out the board games and have a tournament with prizes for participants and winners. Whatever you plan for after prom, it doesn’t have to end with the last dance.